The above papers were written during the LBO craze of the late 1980s which, in turn, was driven by the all-time low in asset values of the early 1980s. Liquidation and Debt Capacity Worth a read! Games Companies Play: A Structured Approach to Competitive Strategy, Part II Entry/Preemption Games. This chapter may help you with your case study in Fox Broadcasting (Previous post found here:http://wp.me/p1PgpH-AK). Question 1: What are the four characteristics of entry/preemption or “quantity” competitive situations that differ from pricing issues? Question 2: What can a potential entrant do to discourage incumbents from resisting its entrance? Question 3: You are faced with analyzing a competitive industry, and you want to understand what the players might do. Describe what techniques you might use to accomplish this analysis. Prize awarded to anyone who can explain the following. 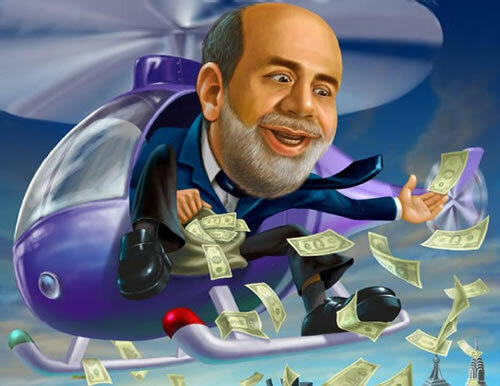 If central planning of an economy has been shown repeatedly to fail–witness USSR, Communist China, Cuba, North Korea, Welfare Europe–how can the Federal Reserve succeed in manipulating interest rates for a multi-trillion dollar economy? Corporate compensation or Failure is the New Success:http://prudent-speculation.blogspot.com/2012/03/gimme-failure-baby.html Why is this not surprising? Why do corporate CEOs receive such distorted compensation. Hint: follow the money! Next week while you do your case studies, we will discuss how to read a Value-Line Tear Sheet. Do you know that almost any major library will have Value-Line available on-line for your use from home? It doesn’t get better than that!